Generation of a transient ischemic event in the eye can lead to microvascular dysfunction and neuronal degeneration. The EyeCRO Ischemia/Reperfusion (I/R) model is generated through cannulation of the anterior chamber with saline to create an ischemic event under high intraocular pressure, which is then released and vascular flow is allowed to reperfuse the eye. 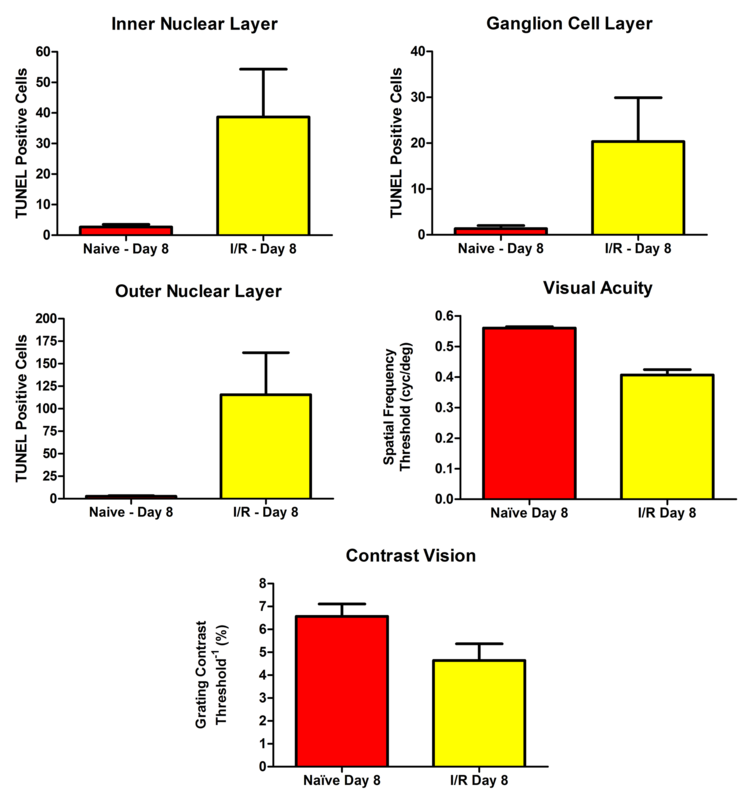 The damage created causes an acute loss of visual acuity and cell death in the retina, which is useful for testing neuroprotective strategies. The I/R model also presents with substantial microvascular damage to the retina causing incidence of acellular capillaries, which is useful for evaluating therapeutics to treat Diabetic Eye Disease.